How can I generate PDF metadata from LaTeX? I am writing a document using LaTeX and generating PDF. Can anybody tell me how I can generate the PDF metadata, e.g. author or title, from LaTeX? On Windows XP, I am using MikTex's texify to generate the PDF. On linux, I am using pdflatex to generate the PDF. Any answers for either platform would be much appreciated! Use the hyperref package, included in pretty much every latex distribution these days. You can use xmpincl, "which allows you to add arbitrary metadata in the Adobe XMP (Extensible Metadata Platform) format. But you have to write a separate XML file to do this" (suggested in threads here). They also propose a more recent package hyperxmp. You can find an example .xmpdata file and other files needed on creating high-quality PDF/A documents using LaTeX. This instruction not only provides files that work better than TeXLive standard packages for inclusion of metadata (they fixed some bugs), but also shows how to create PDF/A which has very good properties optimized for long-term archiving. You explicitly asked for generating the metadata from LaTeX, and using one of the answers of Ken Bloom seems the right way for me. Not the answer you're looking for? Browse other questions tagged pdf pdftex miktex metadata or ask your own question. Is hyperref really the best way to add metadata to a TeX file? Why did they put PDF titling in the hyperref package? Remove 'active contents' from PDF file that was converted from LaTeX? How to change the title of a PDF? Is it possible to store the height and width of an imported document in variables and adjust the page to fit it (reverse-engineering layouts)? How to provides title and author variable to hypersetup? How to generate PDF/A using XeTeX? How can I open an online .pdf to a specific page from a LaTeX generate .pdf from footnote? Using LaTeX, can we prevent others from editing pdf file properties? 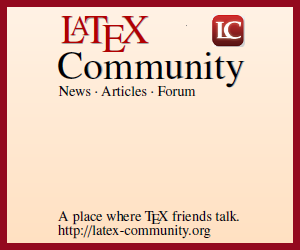 How to compile latex even when pdf is open in windows using MiKTeX? How to help citation managers understand my document's metadata?